The IIT Delhi has witnessed record 10% jump in the placement offer compared to last year by the companies in this season. 14 December 2017: The Indian Institute of Technology or IIT Delhi has witnessed 10% increase in placement in the first 10 days of campus season. In comparison to the last year, the placement of the Post Graduate student jump of 17 per cent. The IIT Delhi placement procedure started on 2nd December 2017. The first phase will be closed on 15th December. The second phase will begin in the next year January. As per I.N Kar, the Professor-in-charge of Training and Placement Cell, IIT Delhi told to the reporters; "While the overall placements have been better than last year, recruitment trends of PG students is very encouraging for the future of engineering research in the country." Later he added; "I am hopeful that the overall percentage increase in the recruitment of both UG (Under Graduate) and PG students will improve further”. The students are also getting hefty pay packages this year. Till now, Microsoft offered to a student a package of 1.4 crore on the first day of the placement although there is no official confirmation of this event. 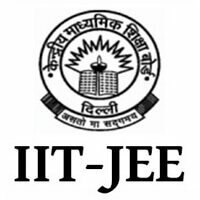 The GATE exam 2018, the gateway of entering the IIT Delhi is going to be held on next year February.